Hailed as the “Conqueror of the Old Northwest,” George Rogers Clark was an American surveyor, defense lawyer, soldier, and military officer. Clark was born on November 19. 1752 in Virginia. His brother is William Clark from the famous duo Lewis and Clark. Prior to the revolutionary war, Clark spent his time in Kentucky surveying the land with the intention of annexing it as a country for Virginia. However, settlers in Kentucky were involved in a dispute about who owned the land. Richard Henderson from North Carolina entered into an illegal treaty with the Cherokee Indians. In June 1776, Kentucky residents asked for Clark to petition to the Virginia assembly to officially include Kentucky in its boundaries. After the war began, Kentucky was a hotbed of activity. British armed forces at Fort Detroit were attacking Kentucky settlers in hopes to take control over the land. Clark asked for assistance from Virginia to defend Kentucky and attack British controlled villages such as Kaskaskia, Cahokia, and Vincennes in the Illinois country. Clark’s victories in Illinois reached General George Washington and was praised. Virginia officially took claim of the formerly British controlled land and officially named it Illinois County, Virginia. 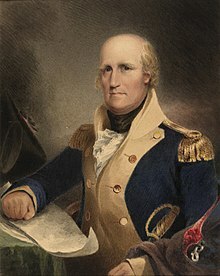 As the war dwindled, Virginia Governor Thomas Jefferson promoted Clark to the senior military officer of the militia in Kentucky and Illinois counties. He set his sites on taking over Fort Detroit but never had the manpower to take over the British controlled base. When the war ended, much thanks to this conquest, Britain relinquished control of all their strongholds in Illinois County through the Treaty of Paris (1783). This nearly doubled the size of the original thirteen colonies. After the Revolutionary War, Clark continued to negotiate treaties between Native Americans and Kentucky settlers. However, there were still many skirmishes between the Indians and settlers in the area. Clark led a group of men against the Native American tribes near the Wabash River in 1786. This action was one of the first battles of the Northwest Indian War. However, this fight was not successful and caused over 300 men to mutiny against Clark due to lack of supplies. Many accused Clark of being drunk on duty. Despite asking for an official inquiry, the government of Virginia condemned him and he never served in the military again. Who Were The Earliest Inhabitants of Southern Illinois? 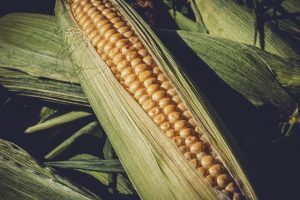 A couple of years ago, an old village dating back to the 1100s was discovered in Central Illinois by college students in the middle of a corn field, causing a wave of historical interest in the region. They found arrowheads, fragments of pottery, and tools. The college students went back home to clean the newly discovered artifacts in order to learn as much as they could, but it begs the question: when did Native Americans first inhabit the Southern Illinois region? Surely it was earlier than the 1100s. In fact, scientists believe the earliest settlers drifted into Southern Illinois as early as 12,000 BC. Although they may have utilized primitive agriculture to survive, they mostly followed a hunter-gatherer lifestyle. By 1000 AD, they had settled the region permanently. Agriculture had developed extensively over the millennia, and the more sustainable form of living gave them the option to form a much bigger society. So that’s what they did. Although we mostly think of Native American societies as small, roving bands of tribes, the cities that sprang up in Southern Illinois were most likely populated by thousands upon thousands of people. The leaders of this evolving society inhabited the Mississippi and Ohio River valleys, and would use thousands of workers to build huge conical mounds that would be used in conjunction with spiritual ceremony. Cahokia Mounds State Historic Site provides a glimpse at this amazing bit of history, located in Collinsville. This site was a center for commerce in the region, and it was home to the largest prehistoric earthworks anywhere in the Americas. The society that built them disappeared before the first European settlers had a chance to interfere. When the culture responsible for these impressive feats finally disintegrated, the remaining tribes populated the region we all know and love so well. This event took place by 1500 AD. These aren’t the same Native Americans who thrived there for so long. The new tribes spoke Algonquian, and likely moved there from the east. We learn about them through the artifacts they left behind: burial sites, campfires, weapons, pottery, etc. Some tribes even built impressive stone forts. One of the remaining forts can be visited in Giant City State Park. European settlers didn’t reach Illinois until around 1673, when the French arrived from Quebec. These first explorers were the ones who named the region Illinois! A casino can be a fantastic place for a day trip or a weekend getaway. It is certainly better than a nursing home abuse lawyer NYC. While people frequently associate casinos with Las Vegas, there are casinos located all over the country! Here’s how you can find the best casinos in southern Illinois. Before you make any plans, you should try to learn more about local casinos. Take a closer look at your options and try to learn as much as you can about the casinos you have to choose from. It’s a lot easier to make a decision when you have the right information. Start looking into casinos and see how much you can learn about them. There are plenty of ways to gather information. Read reviews, browse websites, and see what you are able to learn. There’s a good chance that some of the people you know have visited casinos before. Talk to your friends and family members and let them know you’re hoping to visit a casino in the near future. See where they think you should go. Getting advice from people you’re close to can be very helpful, especially in a situation like this. You should definitely take the time to ask people about casinos so that you can see what they recommend. Even if you don’t know anyone that’s visited a casino in Illinois, you can still ask them for advice. Ask them what they wish they knew before they went out to a casino for the first time. Not everyone is going to have the same definition of what the “best” casino in an area is. Some people prioritize gambling above all else. Other people like to visit casinos that have a lot of ambiances or places that serve great food. 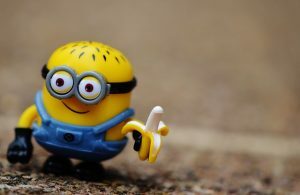 You should think about what you want from your casino trip. Don’t just try to identify the top casinos in this part of Illinois. Take the time to find local casinos that are a great fit for someone like you. You should be able to find some spectacular options. Finding the best casinos in Southern Illinois shouldn’t be too difficult for you. As long as you’re willing to try out the tips above, you should be able to find plenty of fantastic casinos in this area. Seek out the nicest casinos and make a point of spending some time there! Remeber to gamble responsibly. If you or somebody you know is suffering from a gambling addiction, you should seek help. 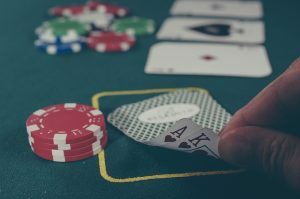 If you have incurred a large debt due to gambling that you are unable to pay because of other outstanding debts like your home mortgage, you may need to contact an experienced lawyer. Just when you didn’t think Southernmost Illinois couldn’t be any cooler, you were wrong. Located south of downtown Collinsville on Route 159, stands the 170-foot condiment container. It is, in fact, the World’s Largest Catsup Bottle. However, it doesn’t hold catsup or as others call it ketchup. The bottle itself is actually the outside structure of a water tower that was constructed in 1949. It was built by the W.E. Caldwell Company for G.S. Suppiger catsup bottling plant. Now a popular tourist attraction, the bottle was almost demolished in 1995 but was saved by the locals in the Catsup Bottle Preservation Group. 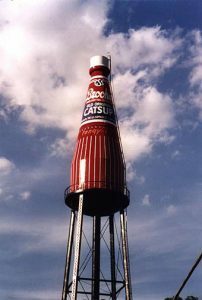 Through their efforts in August 2002, the catsup bottle became listed on the National Register of Historic Places. Every year there is a festival celebrating the history of this landmark including a child’s pageant knighting little princess tomato and sir catsup, BBQ, hot dog eating contest, tater tots eating contest, carnival games and an antique car show. There’s a plethora of merchandise available including t-shirts, keychains, shot glasses, catsup bottles koozies, Christmas ornaments, coffee mugs, hats, postcards and magnets.